Only six of the previous Winter Olympics host cities will be cold enough to reliably host the Games by the end of this century if global warming projections prove accurate. WATERLOO, ON, Jan. 23, 2014 /PRNewswire/ - Even with conservative climate projections, only 11 of the previous 19 sites could host the Games in the coming decades, according to a new study from the University of Waterloo (Canada) and Management Center Innsbruck (Austria). 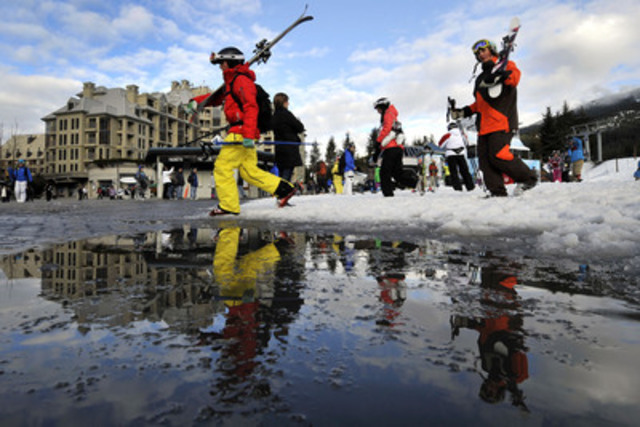 "The cultural legacy of the world's celebration of winter sport is increasingly at risk," said Professor Daniel Scott, a Canada Research Chair in Global Tourism and lead author of the study. "Fewer and fewer traditional winter sports regions will be able to host a Olympic Winter Games in a warmer world." The study finds that internationally renowned Olympic sites, such as Squaw Valley (USA), Garmisch-Partenkirchen (Germany), Vancouver (Canada) and Sochi (Russia) would no longer have climates suitable to reliably host the Games by the middle of the 21st century. With additional warming projected for later decades of this century, as few as six former host locations would remain climatically suitable. "This report clearly points out the challenges that lie ahead for the Olympics because of climate change," said Chris Steinkamp, executive director of Protect Our Winters and who was not involved with the study. "It's particularly powerful to see how past Olympic host cities could be impacted under a higher emission scenario, so hopefully this will serve as a wake up call to the IOC and world leaders that major commitments to carbon reductions need to be made." The need for weather risk management strategies by Olympic organizers has intensified as the average February daytime temperature of Winter Games locations has steadily increased - from 0.4°C at Games held in the 1920-50s, to 3.1°C in Games during the 1960-90s, and 7.8°C in Games held in the 21st century. "Today it would be difficult to imagine successfully delivering the diverse Games program exclusively on natural ice and snow, as it was in the early decades of the Olympic Winter Games," said Dr. Robert Steiger of the Management Center Innsbruck. 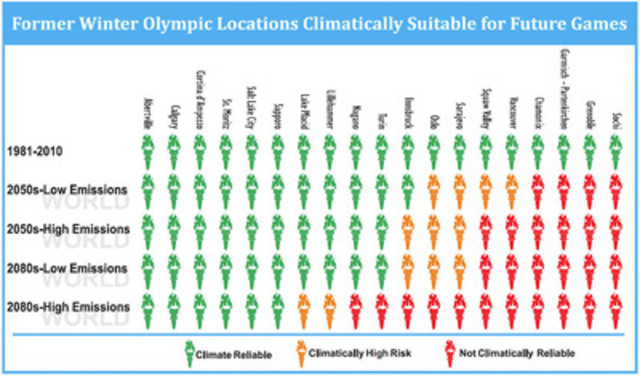 Weather risk management will become even more important in the coming decades with average February temperatures in past Winter Olympic host locations expected to warm an additional 1.9 to 2.1°C by mid-century and 2.7 to 4.4°C in late century. The study found that the success of the Games is often partially attributed to favourable weather, while poor weather is highlighted as one of the greatest challenges faced by Olympic Organizing Committees. Weather affects the ability to prepare for the Games and can directly impact outdoor opening and closing ceremonies, fairness of outdoor competitions, spectator comfort, transportation, and visibility and timing of television broadcasts. 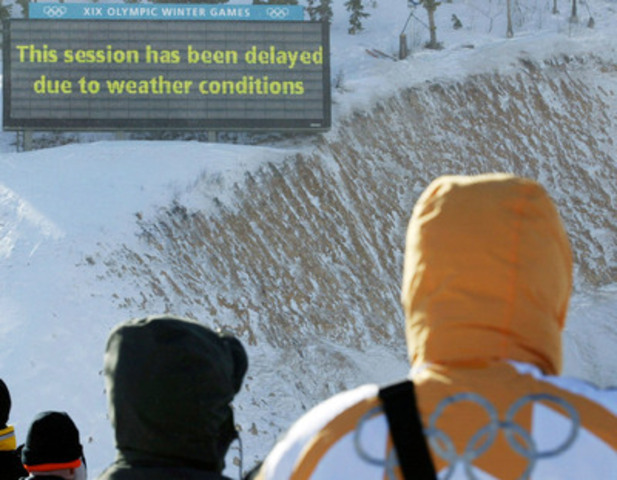 The study also examines how technological advancements and strategies developed over several decades have been used to manage weather risk at the Winter Olympics. Technology like snowmaking, track/jump refrigeration and high-resolution weather forecasting are now critical components of staging a successful Winter Games. "Despite technological advances, there are limits to what current weather risk management strategies can cope with," said Professor Scott. "By the middle of this century, these limits will be surpassed in some former Winter Olympic host regions." The study provides an important opportunity for reflection on the long-term implications of global climate change for the world of sport and the world's collective cultural heritage symbolized by the Olympic Movement. It also reveals that for some cities and regions interested in hosting a future Winter Olympics, the time to bid for the games might be sooner than later. Download a copy of the report: The Future of the Winter Olympics in a Warmer World. Attention broadcasters: Waterloo has facilities to provide broadcast quality audio and video feeds with a double-ender studio. Please contact us for to book.